Tax evasion, corruption and lack of initiative never lead to a happy ending. Everybody started to cheer when the EU leaders recently announced the agreement to restructure Greece’s debt, but, the most important issue was not addressed, “how is growth going to be fueled in Greece”. What is all that young unemployed untapped talent going to do? So many academic qualifications and visions for what? To beg for a job with a starting salary of 500 Euros a month? Or run out of Greece? The new era has introduced the need for smart business and the reemergence of venture capital as an asset class. What is happening is an explosion of startup activity and especially with a focus on innovative and disruptive technology, including but not limited to e-commerce and mobile applications. Initiatives such as the Openfund, an investment scheme aimed at technology startups in Greece and South Eastern Europe. The fund has its roots in the Open Coffee Greece initiative, the most active entepreneur gathering in the country, and was initially formed out of the need to support the startups that sprouted out of it. It provides small amounts of funding, typically 30,000 and 50,000 EUR and a lot of hands on mentoring by leading professionals and entrepreneurs-in-residence (EIRs) covering business development, tech, marketing, law, and finance. Its aim is to support small teams of innovators and aspiring entrepreneurs. Since 2009 when it was formed it has received several hundred proposals, and has invested in 8 of those. 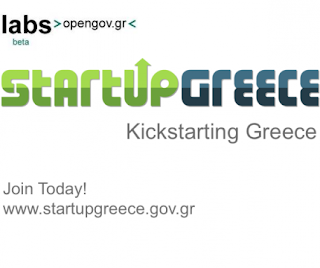 Startup Greece is a digital information and networking space, supported by the Greek Ministry of Development, the Government and communities of young entrepreneurs. It is aimed at giving way to a new generation of entrepreneurs in Greece, bringing together people and ideas and changing the country's perception of doing business and entrepreneurship. 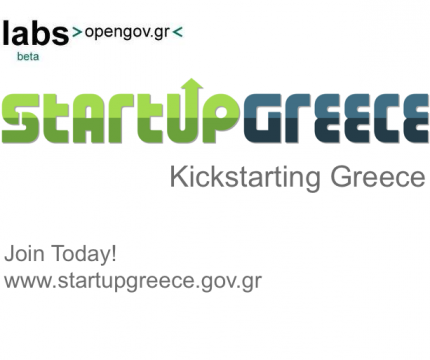 Startup Greece combines an online entrepreneurship community with a knowledge and information database specialized in the field of doing business. Startup Weekend in Athens hosted about 150 brilliant Generation C young men and women (connected, communicating, content-centric, computerized, community-oriented, always clicking) who did their magic, pitching their business ideas. After a 54-hour event 3 teams emerged, and after the final pitches, the judges decided the overall winner. Rising Stars is one of the activities of the TEDxAcademy. It is a business platform aimed at facilitating the exchange of ideas, knowledge and insight for scientists, entrepreneurs and students with the final goal of converting ideas into businesses. Teams of 3-4 people can submit an application form and if successful will get top notch support from the Rising Stars mentors from preparing the business plan up to the stage of presenting it to potential investors. Apart from the above initiatives, a lot of very promising innovative businesses have been launched, which have also managed to raise significant up-rounds and are marking the new age in Greek entrepreneurship. Taxibeat allows passengers to see the exact location of nearby taxis, to hail one with the touch of a button, and leave feedback about their experience with the driver. Seven (7) months after the initial seed investment the company raised a syndicated funding round of 250,000 EUR from angel investors and is accelerating its global expansion. Fashinating (patent pending) retains the qualities of offline window shopping while at the same time enhances the experience, taking advantage of the interactivity and data collection properties of the web. Fourteen months after its launch Fashinating has almost completed a significant funding round. Parking Defenders is an application that turns the nightmare of parking downtown into a real time game. It is based on the principle that when you search for a parking spot in overcrowded areas, someone has just left. It is wonderful to see so many innovative startups and initiatives being born in Greece but, how can Greece sustain this growth story? How can you build more startups, incubators and startup communities without more investment? Due to the high uncertainty and lack of visibility in the market, many Greek high net worth individuals and international institutional investors and corporations have pulled out of the market thus causing a funding gap. Although European VC investment decreased by 11% in Q3 '11 and Greek VC investments in Greece as a percentage of GDP are amongst the lowest in Europe (source: EVCA), startups are starting to emerge at an immense pace as a separate asset class and trend. - Investors always prove to have a very short memory. So, in order to attract all that dry powder and invest it in Greek startups and venture capital, the entrepreneurs need to keep their chin up and keep pushing for strong political and economic reform, which will act as a catalyst in firing up the new business era. There are many new solutions if interested. I have just discovered last month.
. Tiny Tanks is a popular game that all of you would like. In which you can play Tiny Planes Run 3 Unblocked or Run 4 Unblocked .. Tiny Planes Tiny Planes Beta are terrifyingly fun. When you're on one, you know you're going someplace epic. Play now.